I just wanted to go over with you a recent article found here at KD Nuggets. They’re a very popular website for machine learning, data science. I don’t think we need to go into all the hubbub about machine learning, but lets talk about some of the open source libraries out there from various companies. We’ve got Tensor Flow right up there as easily the number one and then Scikit Learn, Theano and Keras are the other ones. There’s Torch, a few other ones, but the one library that’s easily number one is Tensor Flow from Google. I put up another article where it was something like 80% of the … It’s a huge number of people that use Tensor Flow versus other libraries as I’ve just mentioned. It’s open source. It’s done in C Plus Plus, but it’s heavily interfaced with Python. There’s Theano, which is another alternative. I think it’s a little older. It’s easier to use as far as I know and it’s just not growing as fast because Tensor Flow is pretty cryptic when it comes to the working of the coding front end of it. I still want to do a course on it. 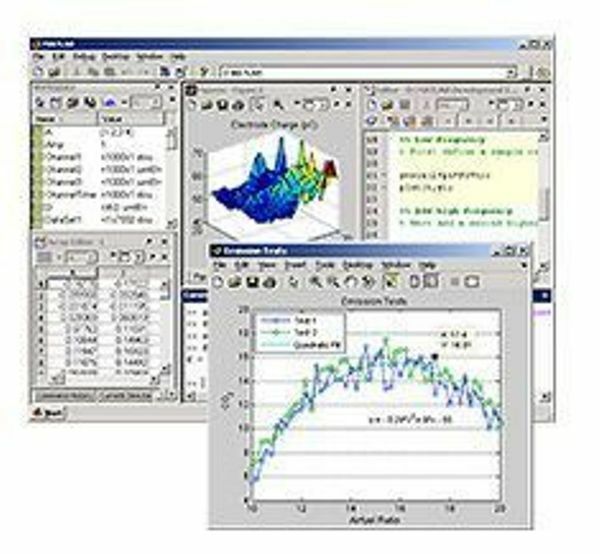 I just posted a standard course found on Coursera using, I think it was MatLab and Octave. We also have Theano, which is a mature library, but I think this is dropping off. Moving onto other, there’s Torch from Facebook, it’s Lua. It’s kind of smart how it’s done, but there is an interface with Python and as I said, Python is a standard way to go about doing machine learning. Scikit is another one. That’s fairly old as well. I think it was done 100% in Python. Unfortunately, that seems to be dying off. I know Apple’s got a few. I don’t really think that’ll take off as long as Google and Tensor Flow have pretty well entrenched the whole market for machine learning libraries and frameworks. There’s the other one called ‘Caffe, Caffe Two’. I’m not even going to mention that. I don’t think it’s worth it. There is Apple coming out, but I really think that the … Swift is getting popular, but more on the back end. I just don’t see a Swift any of the Apple technologies picking up where Google Tensor Flow is at. There’s Keras as well, which is built on top of Tensor Flow. It’s more for an easier way to interface with Tensor Flow, but all in all I think Tensor Flow is pretty well the standard and will be the standard for a while. We haven’t even talked about the Google Deep Mind, which is another project, which seems to be growing. I’m not sure if that is built upon the Tensor Flow, but apparently that’s getting big too. That’s going to be like the equivalent of the next generation. Those are all the current machine learning libraries out there, but if you want, if you’re a betting guy and you want to bet the future, yeah, Tensor Flow seems to be the one to go with. Hope that’ll help you out. This entry was posted in Quant Development and tagged framework, Google, Machine Learning, right, systematic, TensorFlow, trading on November 11, 2017 by caustic. This entry was posted in Forex, Premium Membership, Quant Opinion and tagged algo, automated, learn, orex, systematic, trading on July 11, 2017 by caustic. This entry was posted in Quant Analytics, Stock News and Tips, Trading, Uncategorized and tagged analytics, Fed Reserve, first, Quant, report, snapshot, systematic, trading on June 19, 2017 by caustic. Here are some very interesting and detailed mathematical strategies that you should consider when developing low-level trading models. This will showcase the power of math versus some technical chart chasing trading opportunity. That’s what all these unknowingly technical analyst amateurs do. When you look at this, I also need to remind you of this book which will show the advancement of mathematical formulas for any high frequency trader. I know we are nowhere close to using these advanced trading strategies but I follow more simplistic approaches like fundamental. With a combined solid baseline of economic analysis, you have a major advantage that no one else will see this type of data. But the question is what do you do with it? What do you think my upcoming analytical service will be about? As they say get it while it’s hot, the remnants of my Quant Elite membership will be removed in coming months. As a result, I highly recommend you to check out my Quant Elite membership. This entry was posted in Quant Analytics and tagged slides, strategies, systematic, trading on September 16, 2016 by caustic.